There is something about a wedding filled with green elements that make for a dreamy occasion. 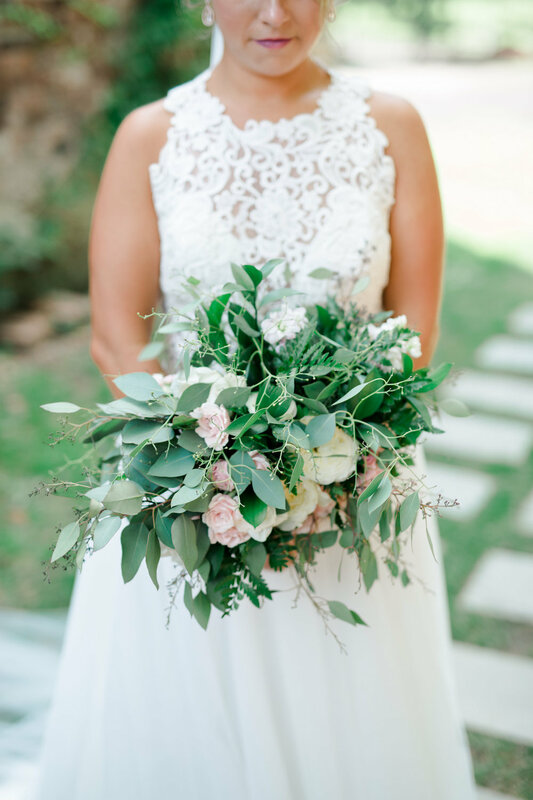 So many brides are choosing to fill their day with greenery on top of greenery and are going with florals that are much more simple and consist of neutral colors. From tabletop details to garlands to stationery, we have rounded up 17 ideas to make your wedding “pretty in green”. Scroll down to see some of our favorites! A DIY’d bouquet filled with eucalyptus.